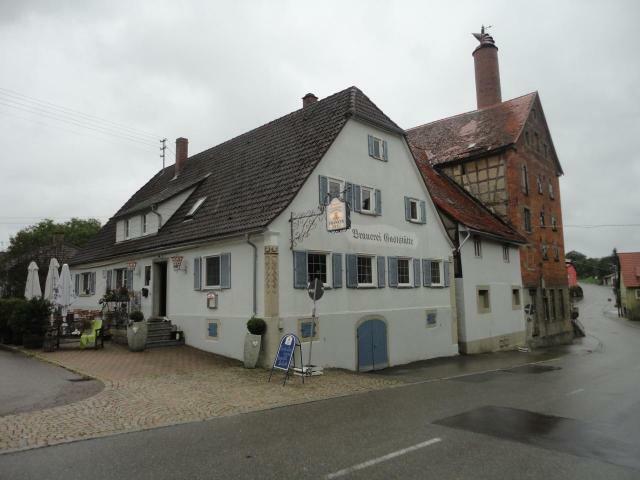 Frankenbräu Riedbach has a beautiful Brauereiwirtschaft with good food, but the beer surely is the weakest of the otherwise superb Hohenlohe-Franconian beers. Tried Spezial, Keller, Dark and Pils yesterday. Not very aromatic and quite thin. The malty dark beer is on the better side, also the Pils. The Keller was awful. Soapy and thin, despite being unfiltrated. The Spezial reminds me on a thin normal Lager. If you're touring the breweries of this region, this is a good starting point, as the other breweries (Goldochsenbräu Spielbach and Adlerbräu Michelbach) are better by far.